Last year, my in-laws went on an amazing cruise on the Rhine, Main and Danube Rivers in Europe. They sailed past wind-mill studded fields in Holland, ancient castles in Germany and saw the gorgeous Austrian vineyards of the Wachau Valley. I was amazed at their pictures of stunning locales including Slovakia and Hungary. Mental note: add this cruise to the travel bucket list. My in-laws are incredibly generous people and always bring back fun little gifts for all of us upon their return. Imagine my delight (and astonishment) when they gifted me with a sampler of Hermès perfumes!!! YES!! My sampler included Eau des Merveilles, Un Jardin sur le Nil, Voyage d’Hermès and my absolute favourite – Un Jour d’Hermès. These perfumes created by Jean-Claude Ellena are not easy to come by here in Ottawa, and I’ve always been curious of his olfactory creations. 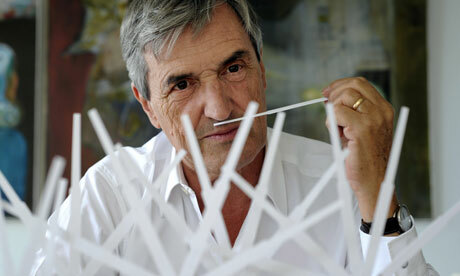 Jean-Claude Ellena is a noted French perfumer who was appointed as the lead “nose” at Hermès. Since his appointment, fragrance sales have tripled for this benchmark luxury company. I was definitely intrigued and took the opportunity to check out the fragrances on a trip to the Hermès store in Toronto a few years back. I pretty much fell in love with everything, but I wasn’t surprised. Ellena had created other favourites of mine including Bvlgari Eau Parfumée au Thé Blanc (love!) and Bvlgari Eau Parfumée au Thé Vert. If you’ve been keeping up with my blog, you’ll know that this past winter in Ottawa has been absolutely hellish. Freezing cold, snow storms, Arctic tundra-like conditions…I was instantly over it before it really even got started! 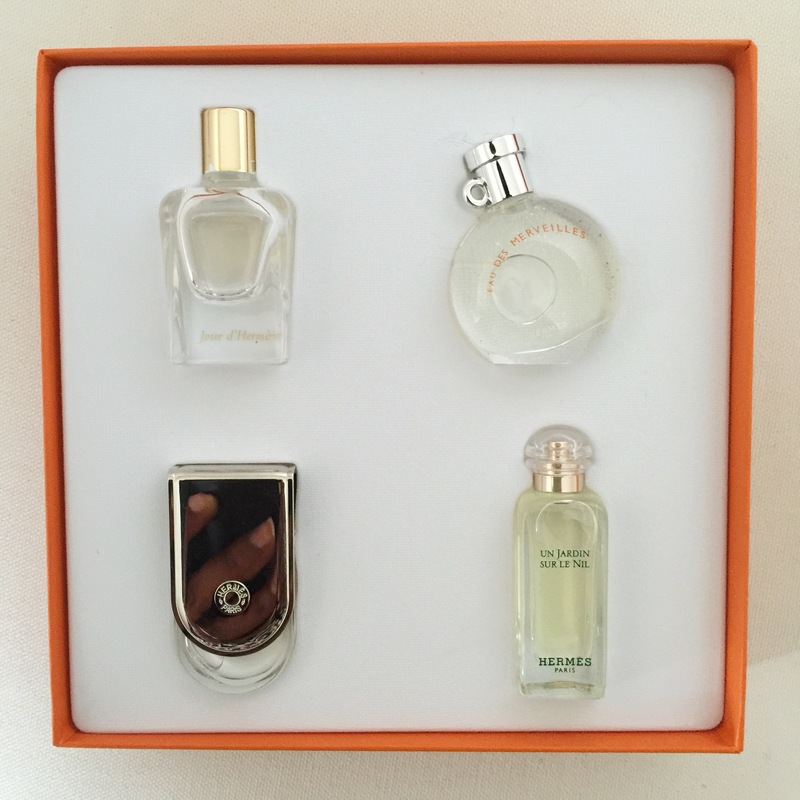 Getting this sampler was exactly what I needed as Un Jour d’Hermès smelled like sunshine in a bottle. When I opened the bottle, I loved it instantly. It smelled like warmth and happiness. I could close my eyes, inhale and picture myself sipping a pretty cocktail on a beach, wearing a white dress and enjoying warm weather. It was exactly what I needed as I looked out the window at the perpetual Ottawa dreariness. I would describe this perfume as very green. It has top notes of grapefruit, lemon, white florals, gardenia and a base note of light musk. It is very fresh and sunny, but elegant. It’s unlike any other perfume I’ve tried. Needless to say, I blasted through my small little sample and was desperate to get my hands on the full-sized bottle. Fast forward to my trip to London this week where I happily found myself at one of Heathrow’s huge duty free shops. I found my beloved perfume at a great duty free price and rushed to buy it! So happy! Really thrilled to add this to my collection! Ever try any of Jean-Claude Ellena’s perfumes? How about those by Hermès? Please let me know of your favourites in the comments! Light Blue is lovely! I must be on my 10th bottle of that perfume – a personal favourite! Good pick! Thanks so much for reading! What a beautiful gift set! Un Jardin sur le Nil is a really lovely one. 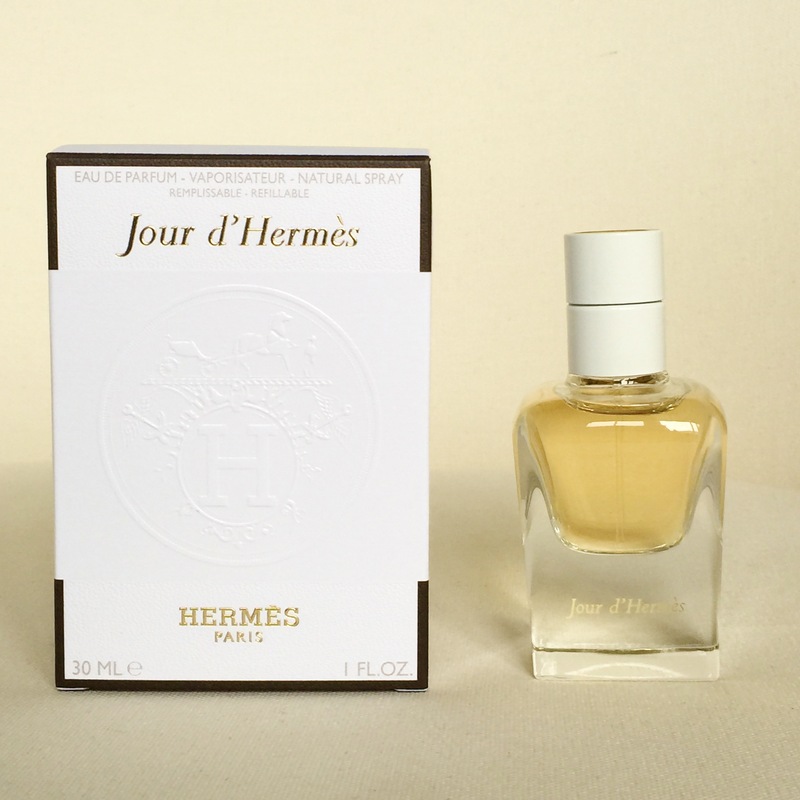 I haven’t yet tried Un Jour d’Hermès, but I will look for it the next time I get to a perfume counter. I believe Ellena is the nose behind two of my favorite scents, Hermès Kelly Calèche and YSL In Love Again. Yes! You are right. Love Kelly Calèche!!! Love Un Jardin sur Le Jardin! wow!! super gift. I love warm notes .. anything with Gardenia I love.. great post! 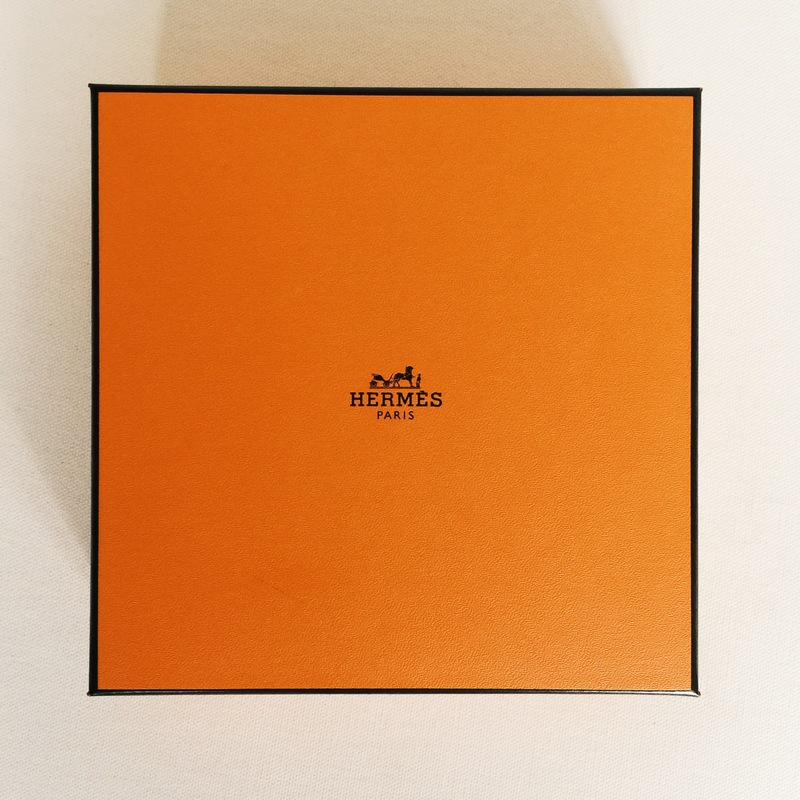 I got this sampler box by Hermes, thinking it is better to sample it first than to blind buy an FB of Eau De Merveilles or Un Jardin Le Nil. 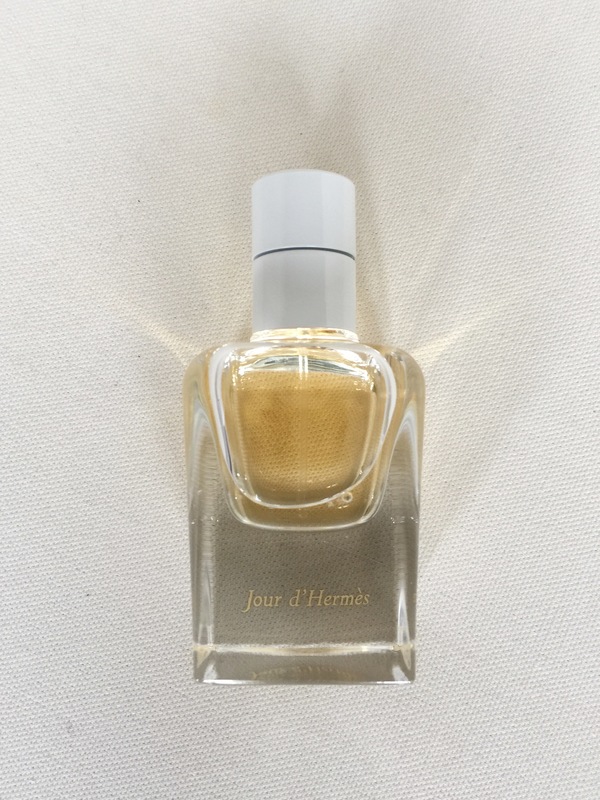 I’ve always been skeptical about Jour de Hermes because of the online reviews but it was ok. Among the miniatures, it was difficult to open that Voyage bottle, it won’t turn like the orig. bottle, it was my least favorite anyway. So, Le Nil is like something that I would usually like, green and fresh but Eau de Merveilles was a real surprise coz I love, love, love it! Those bottles are so hard to open, aren’t they?? I love Un Jardin Sur Le Nil!! Un Jour d’Hermes is definitely my favourite though. Thanks for reading!